Universal, distracted by the construction of its monster universe, seems to have dropped the ball on another one of its gestating creature features. 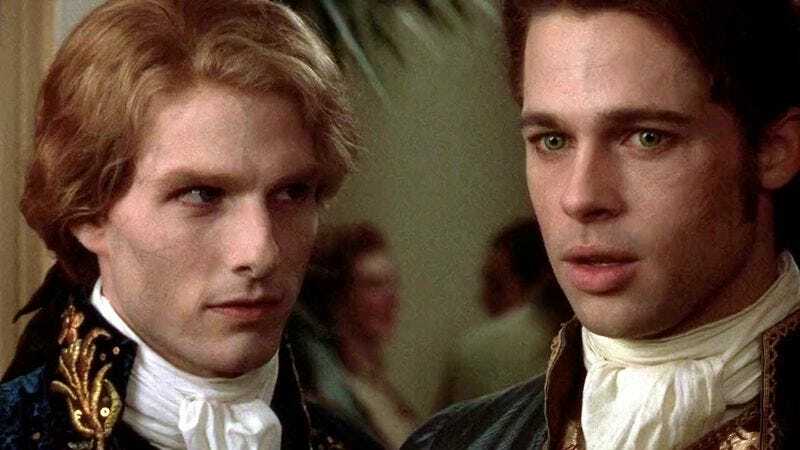 Though the studio’s batted around the idea of a Vampire Chronicles adaptation for nearly five years now—even roping in The Fault In Our Stars’ Josh Boone to write the movie remake earlier this year—it waited too long to get something into theaters. Now the rights have returned to author Anne Rice, the creator of her own shared vampire universe. And unlike Universal, Rice isn’t wasting any time trying to get the project off the ground. She announced her plans for a Vampire Chronicles TV series over the weekend. In her post, Rice thanks Universal and Imagine Entertainment for their interest over the years, but she’s excited to move forward with a “Game Of Thrones style faithful rendering” of her books about rich, moody vampires, their rich, rock-star vampire mentors, and the silly humans who love and interview them that her fans have apparently been clamoring for. Rice is sharing scripting and executive producing duties on the series with her son, Christopher, who is himself a best-selling author. She promises “many situations that readers expect to see” will be featured in her series, though she doesn’t elaborate on just which adventures will play out. Will we see Lestat meet the mother of vampires and/or the Devil? We won’t know anytime soon, since the project’s still very much in pre-preproduction. It’s definitely too soon to watch Prince Lestat And The Realms Of Atlantis play out on the small screen, which is too bad because who doesn’t to see a vampire Aquaman?